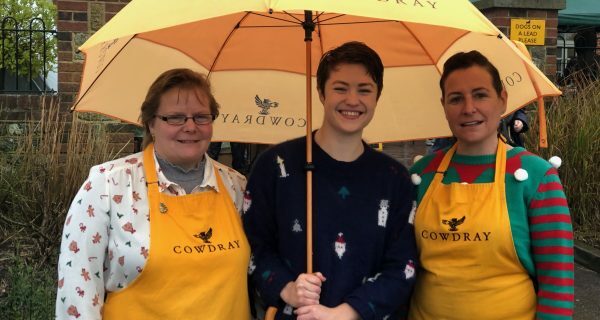 There is a chance to win a Cowdray Farm Shop Hamper worth £100. Buy a raffle ticket at the Cowdray Farm Shop & Café for £1 and you could win a hamper of Christmas goodies. All proceeds will go to Easebourne Primary school. Raffle tickets will also be on sale at the Christmas Tasting Day on Saturday 1st December and the winning ticket will be drawn on Monday 3rd December 2018. Easebourne Primary School are actively involved in the Christmas Tasting Day with the school choir singing carols at 10.30am as well as again later in the morning. Pupils will be on hand to help shoppers pack their bags at the tills at the Farm Shop. 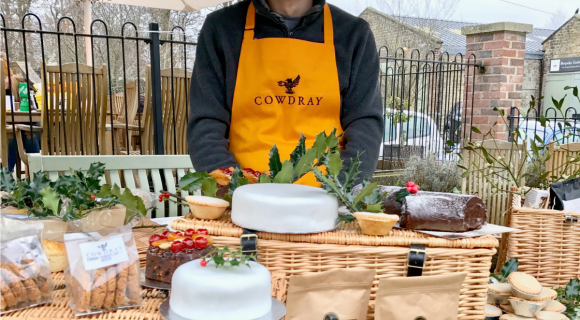 Johnny Culley, Headmaster of Easebourne Primary School, said: “We are delighted to be part of the Cowdray Farm Shop’s Christmas Tasting Day. Not only are the choir looking forward to performing but the children are also keen to help shoppers pack their bags. The Christmas Tasting Day is also a chance to pick up a range of beautiful yet practical gifts from the Farm Shop as well as wreaths and Christmas trees. Cowdray has recently entered into a partnership with Le Chameau and they will also be on hand selling a range of handmade wellington boots and accessories.